KTA would like to thank the following sponsors for helping us maintain and enhance non-motorized trails in Klamath County. Rocky Mountain Construction is Southern Oregon’s preferred source for Heavy Construction. We specialize in asphalt paving, site development, rock supply, and asphalt mix sales. Rocky Mountain operates our own rock crusher and asphalt plant to ensure that only the highest quality products will be delivered to your project. rmcpave.com Full Service Asphalt Paving & Maintenance. Zach’s Bikes is the locally-owned product of decades of combined experience in the industry. Moreover, we know and ride the stellar trails, gravel and tarmac that are so abundant in and around Klamath Falls. More. The brewing of beer has been part of civilization for over 5000 years, and Klamath Basin Brewing is honored to be part of this tradition. You can find this great KTA supporter in Downtown Klamath Falls, Oregon. More. A small, but growing, local business located in downtown Klamath Falls, Oregon and the only yoga studio and specialty running store in the entire Klamath Basin! Asana Yoga and Sole began simply as a yoga studio with only 2 teachers, Josh and Jill, the owners. We now have many other great teachers and offer several styles of yoga. Kingsley Field Chose the KTA as a recipient of proceeds from the 2016 Duathlon and 10K held on the Klamath Ridgeview trail and at the Running Y Resort. It was an extremely well organized event and a lot of fun. Look for the 2017 event coming soon. Look here for 2016 results. Sky Lakes Medical Center is a stand-alone, not-for-profit, community-benefit regional healthcare center serving southcentral Oregon and northeastern California. We combine small-town charm and neighborliness with big-city medical expertise. Learn more about Sky Lakes. The club is a member of the Road Runners Club of America and is guided by a Board of Directors. We hold regular general meetings open to all members; most club business has to do with sponsoring and staffing local running events. Our membership is represented by the entire spectrum of performance, including: elite runners, mid-packers, back-of-the-packers, and recreational walkers. Among our ranks are marathoners, triathletes, vegans, high school cross country team members, carnivores, the young, and the not-so-young. You may as well sound good on your way to the trail. Muffler King in Klamath Falls, OR is the right destination for exhaust systems and auto repair for domestic and foreign automobiles. We have been serving clients in the same location since 1978. Our professional service has won us many repeat customers who turn to us for superior performance exhaust systems. Chancellor Drilling and Pump has been drilling in southern Oregon and northern California for over 30 years. We are a locally owned and operated family company and we pride ourselves in the satisfaction of our customers. It is our goal to provide our clients with a high quality product to insure their needs are met or exceeded, now, and for years to come. We have found that this sets us apart from our competition, and it is why we have such a good reputation in our service area. We believe good communication leads to happy customers. Gaucho Collective is a coworking space located in downtown Klamath Falls. 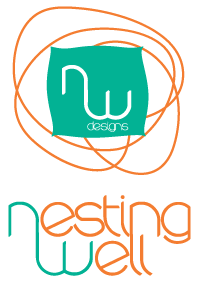 We offer work or study space for entrepreneurs, students, freelancers, and others who want a place with blazing fast internet and a cool, creative vibe. Dirt Mechanics LLC, a Recreational Excavation company, specializes in trail building and design. Dirt Mechanics LLC represents over 45 years combined experience. This partnership provides an extensive background in trail design, construction, project management, and heavy machine operating. From trail conception and culminating in construction of trailhead facilities, kiosks and maps, Dirt Mechanics LLC is uniquely equipped and qualified. In August, 2005, Hutch’s expanded into the city of Klamath Falls to service the rapidly growing cycling community there. Year-round, Hutch’s in Bend and Klamath Falls employs 15 to 20 people that have come to work for us from all around the U.S.A. These folks share a common theme: quality of life, great working environment, uncompromising customer satisfaction, and a passion for bicycles. If you can, stop by and we’ll show you why running a bicycle shop in Oregon is about as close to the perfect job as a person could have! Tucker, Tucker, & Gailis Dental Group was officially established in September of 2010, however Dr. Tom Tucker started the practice in the Klamath Basin in 1981. In 2007 Tom’s daughter-in-law, Theresa Tucker, joined the practice after graduating from Creighton University School of Dentistry. In 2010 the office was remodeled and updated, at this time that Dr. Daniel Gailis joined our team and the Tucker, Tucker and Gailis Dental Group was established. Great Basin Insurance offers you complete insurance programs. Dedicated departments specialize in personal, business, farm health and life insurance. Depth of experience isn’t easy to find these days. And some mistakenly believe that larger communities have the exclusive franchise on dispensing solutions to today’s complex business questions. At Isler, we have both the professional expertise and the advantage of a long-term commitment to this community to understand and find solutions to your business and personal financial needs. Our primary focus at Adkins Consulting Engineering is to assist our clients to fully realize their visions whether they are municipalities, land developers, or corporate clients. Our knowledge and implementation of technological advancements is critical to Civil Engineering, Planning, and Land Surveying operations, both in the office and in the field. We pride ourselves in building ongoing client relationships. A vast majority of our projects are from repeat clients. 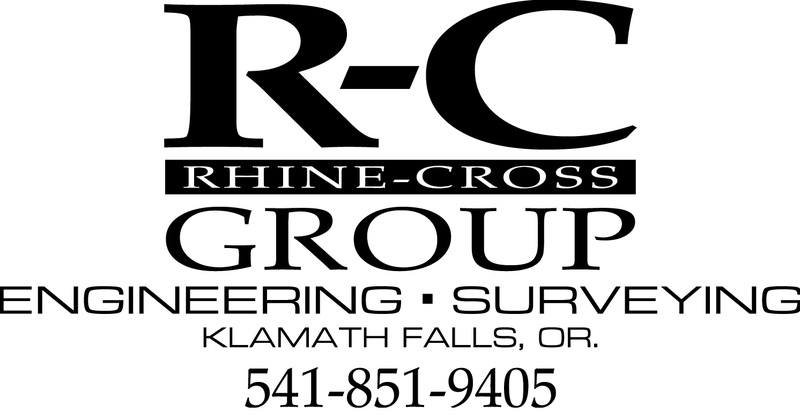 Rhine-Cross Group, LLC. is a consulting firm specializing in engineering, surveying, and planning. Our staff is licensed to perform surveying services in Oregon, California and Idaho, and engineering services in Oregon, California and Washington. R-C Group works with a variety of clients including Land Developers, City and County Planning Departments, Utility Organizations, and Government Agencies. Since 2005, Accounting Associate, CPA, P.C. 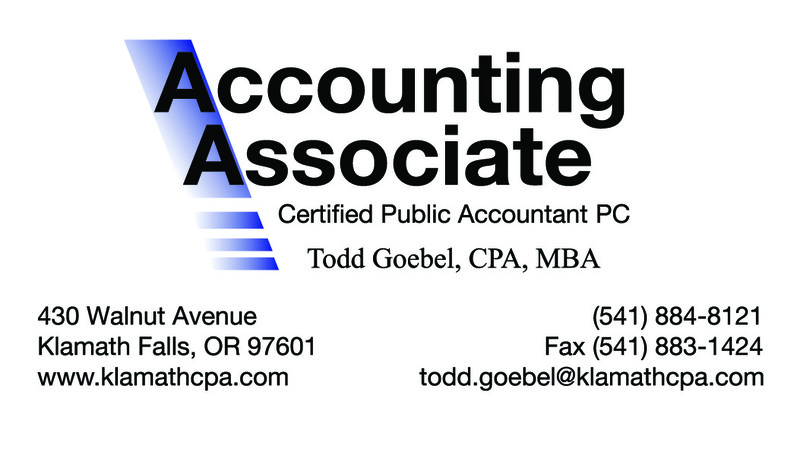 has been offering expert tax preparation and tax consulting services for both businesses and individuals. Expect personalized service whenever you work with our locally owned business. Klamath County’s Tourism Grant program has partially funded development of the Spence Mountain Project. The tourism grant program is funded by transient room taxes. KTA appreciates Klamath County’s strong support!